It actually got banned from competing in car shows because it always won. 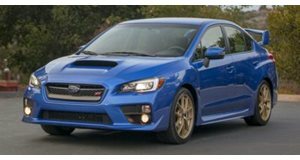 One could easily buy a stock Subaru WRX or WRX STI knowing they purchased one hell of a performance animal for the money and call it a day. But what would be the fun in that? 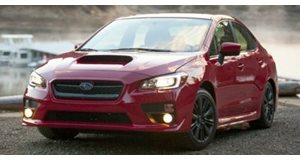 Over the years we’ve seen many modified WRX and WRX STIs, but nothing quite like this one, and it just so happens to be our favorite generation. This bugeye 2002 WRX might just be the ultimate Subaru. Tears and Gasoline recently caught up with owner Alex Witkin, a man devoted to the bugeye WRX. He’s so devoted, in fact, that an estimated $250,000 has been invested in what he’s deemed his dream car. It’s literally something straight out of Gran Turismo or Forza, and yet it’s fully street legal. Nothing has been left untouched, from the carbon fiber trim, heavily modified engine and related systems, and Cobb software upgrades, to the right-hand drive conversion. In short, there’s nothing like it in the world. It’s graced the covers of numerous magazines and won so many awards that it’s no longer allowed to compete; organizers wanted to see other cars take home the prize for once. It’s nothing less than spectacular.